If you’ve been following this blog for long, you know I like to deep fry all kinds of things. Until now, I’ve never shared a recipe for my favorite thing to fry: pickles! Yes, I’m one of those crazy people who are obsessed with all things pickle. Pickle brined chicken, pickle butter, pickle chips, even pickle wings…I love it all! There’s a lot of great things about Janette, and one of my favorites is that she doesn’t like pickles. So, whenever we eat out she always gives me hers. A match made in heaven! Like many people, my love for fried pickles started at that beloved & classy American breastaurant – Hooters. I definitely drew inspiration from their batter for this recipe. 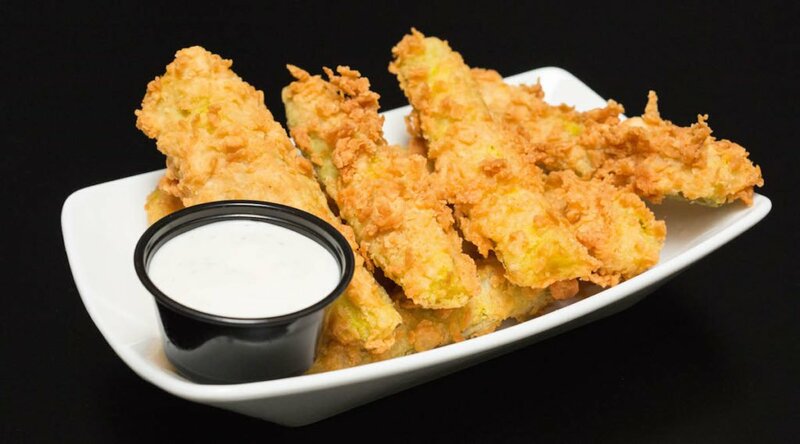 This is sort of like the extra crunchy version of their fried pickles. I used spears instead of slices because that’s my preference. You could use this same batter on pickle slices if you’d rather. 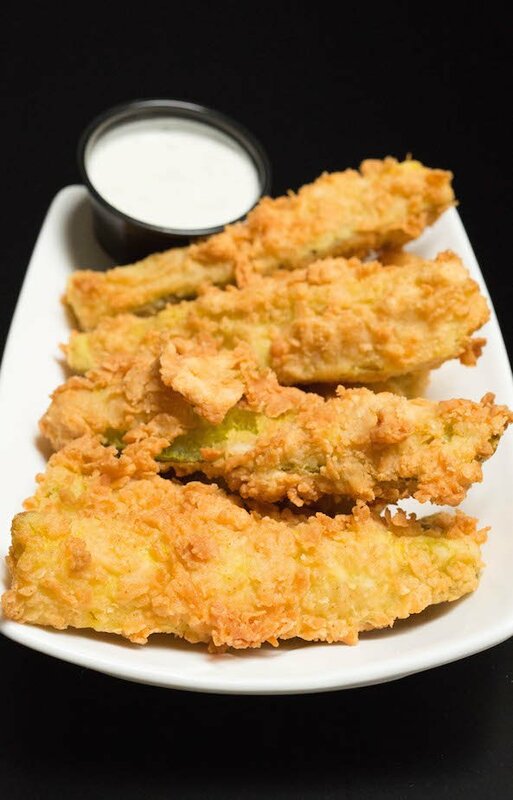 These chicken fried pickles make an awesome appetizer, great game day dish, or even a creative vegetarian substitute for chicken tenders. I like to cook mine in a deep fryer because that is the safest & easiest way. If you don’t have a deep fryer, you can use a cast iron skillet. 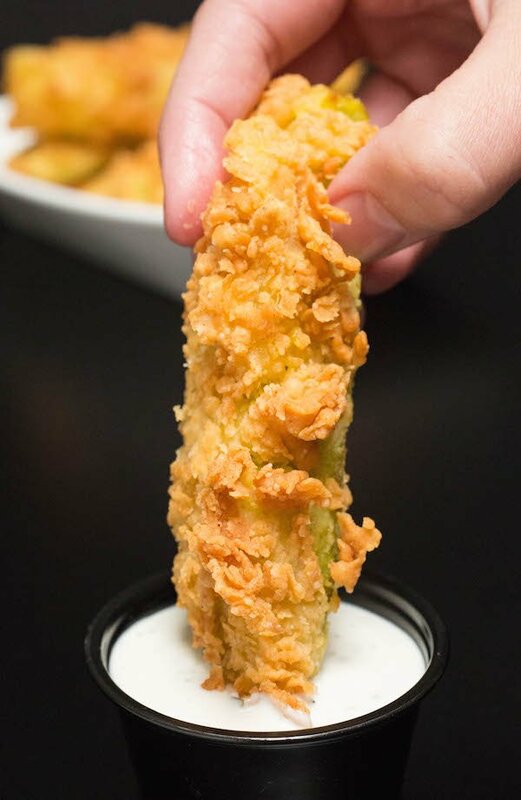 No fried pickle is complete without a dipping sauce. 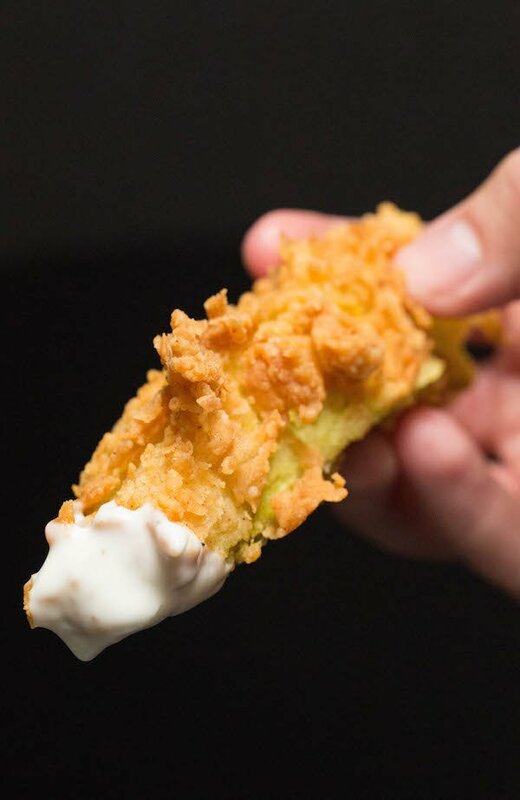 I prefer to dip mine in ranch, but “comeback sauce” is also a popular choice. Drain pickles and set aside. Add buttermilk, hot sauce, and eggs to a large bowl. Whisk to combine. In another bowl, combine the flour, salt, paprika, and cayenne pepper. Stir to combine. Drizzle a small amount of buttermilk over the top of the flour. Use a fork to stir. This should create little clumps of flour that will help make our fried pickles extra crispy. One by one, submerge each pickle in the buttermilk mixture, shake off any excess, then dredge in the flour. Fry 5-6 pickles at a time at 375 degrees F in a deep fryer or a cast iron skillet. Fry them 3-5 minutes, until golden brown and crispy. Remove from oil and place on a paper towel lined plate to drain. I’ve never tried making something like this before! Looks delicious. Thank you so much for sharing!